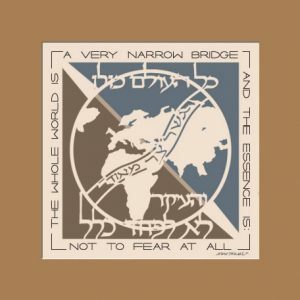 Categories: Jewish Wedding Gifts, Ketubah: Jewish Marriage Contract. 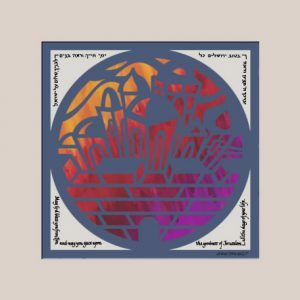 Tags: Hebrew papercuts, Jewish Art, Jewish Gifts, Judaica, Ketubah From Israel, Marci Weisel, Papercut Ketubah, Papercuts. 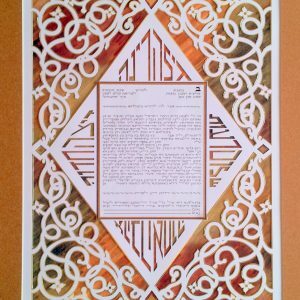 This lovely traditional papercut ketubah design weaves the linear with the curvilinear. Its basic elements of the square and the circle prove that when opposites attract, the results are beautiful. 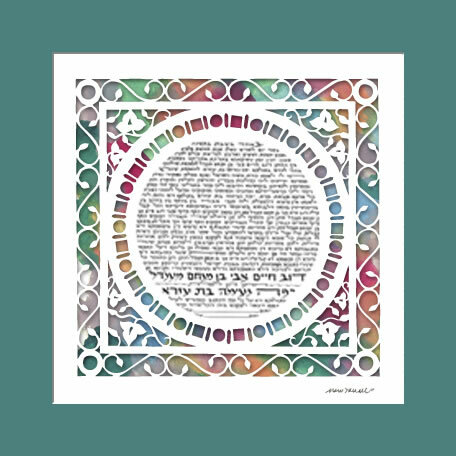 Enjoy a Ketubah from Israel created by papercut judaica artist Marci Wiesel. 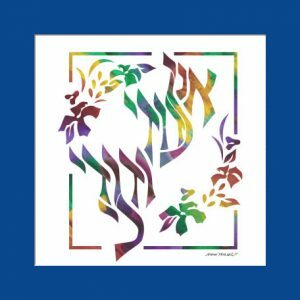 Hebrew papercuts are the perfect way to express love in the marriage contract and Jewish paper cut art can be proudly displayed in the home.